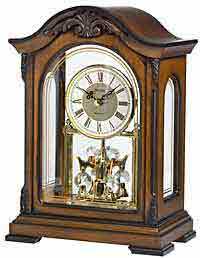 This special anniversary edition tambour mantel clock features decorative top molding and triangular burl overlays. Finished in Golden Oak on select hardwoods and veneers. 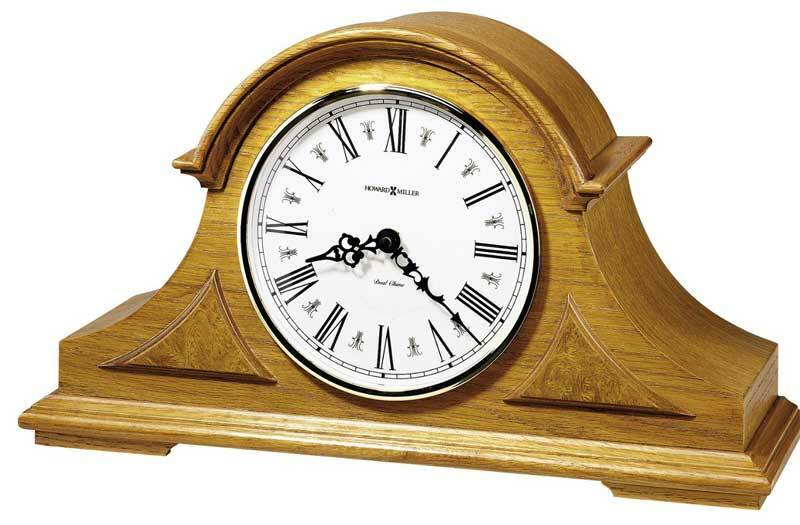 Clocks for sale at The Clock Depot including the 635-106 at discount prices.